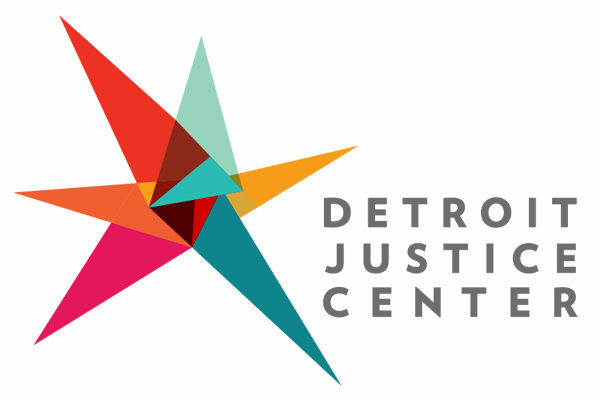 Detroit Justice Center (DJC) and our Just City Innovation Lab are working to ensure Detroit and other cities are equitable, affordable and inclusive for generations to come. We aim to reduce poverty and build power among Detroit’s most vulnerable residents -particularly the low-income, black majority that stands to be shut out from the city’s vaunted resurgence. Building a city and design economy that works for everyone will require ideas and solutions that are tailor-made for the needs of our most marginalized residents. DJC will continue to work toward solutions that are guided by the wisdom of these residents. DJC is a non-profit law firm working alongside communities to create economic opportunities, transform the justice system, and promote equitable and just cities. DJC aligns with the vision and goal of creating inclusive growth that is powered by the wisdom, talent and creativity of our most marginalized community members. We provide a range of legal services to help returning citizens and other court-involved individuals remain out of jail, hold onto stable housing, access jobs and start businesses, including a range of opportunities in the design economy. In addition to providing individual legal services, DJC works to promote “just cities.” DJC is founded on the belief we cannot build cities that work for everyone without remedying the effects of mass incarceration and transforming our justice system. DJC’s Just City Agenda places questions of criminal justice – and those who experience the brunt of aggressive policing, criminal justice debt and the embedded consequences of convictions – at the center of conversations about how to build thriving, inclusive communities. Our Just City Innovation Lab will convene national partners – across fields such as law, design, technology, architecture and public health – to incubate systemic solutions for cities’ most intractable problems.